Inquiries may be set up for one or more reasons. These include to establish the cause of a major disaster, accident or event involving significant damage or loss of life. Inquiries are also established to make recommendations as to how to learn lessons from such events and to investigate serious allegations of general public concern which require thorough impartial investigation, and for which ordinary civil or criminal proceedings may not be adequate or appropriate. 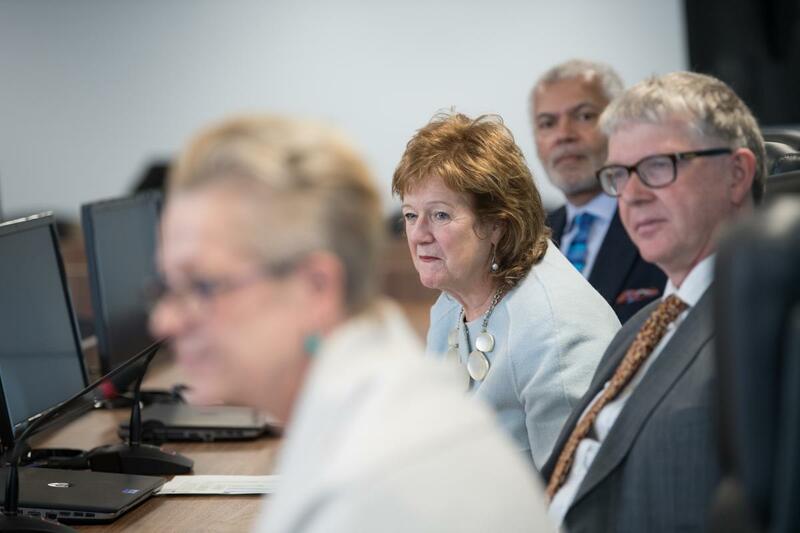 The Inquiry Team consists of a Chair, in our case, Professor Alexis Jay OBE, (pictured) supported by a panel, a legal team including a lead Counsel and a Solicitor to the Inquiry as well as Inquiry support staff. Inquiries are bound by their Terms of Reference and normally have a Government sponsor department, in our case it’s the Home Office as we were set up by the Home Secretary. Full details of how Inquiries work can be found in the cabinet office guidance document on the parliament uk website. The Independent Inquiry into Child Sexual Abuse was set up in the wake of some serious high profile instances of non-recent child sexual abuse and because the government had some very grave concerns that some organisations were failing and were continuing to fail to protect children from sexual abuse. Our remit is wide ranging, but as a statutory inquiry we have unique authority to compel both witnesses and any material we feel is necessary in order to investigate where institutions have let children down in the past. Through our investigations and public hearings we are examining what went wrong and why. The findings we make and the evidence we gather will inform our recommendations to help better protect children in the future. In identifying what must be done differently we are building the case for change and improvement in how institutions must protect children. We also have an ambitious research and analysis programme which will fill gaps in knowledge about child sexual abuse and make sure our recommendations are informed by the latest learning. Our Truth Project offers opportunities for victims and survivors to share their experiences and be respectfully heard and acknowledged. They will help us to better understand the long term impact of abuse, and contribute to recommendations about support needs. Although we are investigating institutional failures, rather than individual cases of sexual abuse, the experiences of victims and survivors are central to our task. We cannot begin to understand the patterns of institutional failures without hearing from those who suffered as a consequence of those failures. We are working with victims and survivors who want to assist the Inquiry in its work by sharing their experience of sexual abuse. Read more about how we work and sharing your experience. The Inquiry is an independent statutory inquiry and covers England and Wales. Being independent means the Inquiry is not part of government and not run by a government department. Being statutory means the Inquiry was set up under the Inquiries Act 2005 and has the power to compel witnesses to give evidence.